Mark mailed me -from India! He is still on his Honeymoon trip and won´t be back before mid of November. So, to do another step forward I am still taking care about the mechanical components of the Samba. Cause we disassembled all of the engine´s bolt-on components already, it´s an easy job just to grab another piece. Today let´s have a close look on the generator. Does look like a piece of crap to you, doesn´t it? But crap with a precious D-regulator at least! 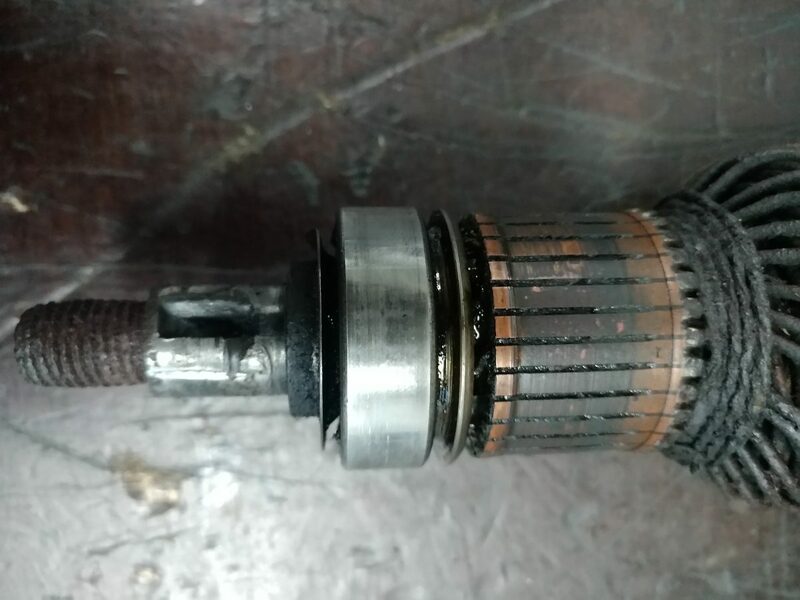 Before even think about repairing such a rotten component it´s always a good idea checking if it is still the component which was with the Samba when it left the factory. 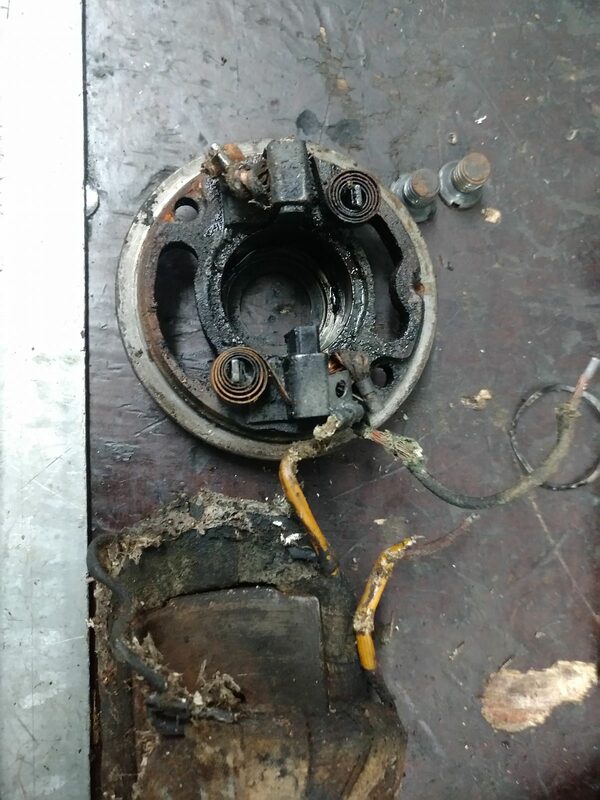 If the generator turns out to be a later replacement I better invest my time at another end of the Samba and look for an original one in the net. 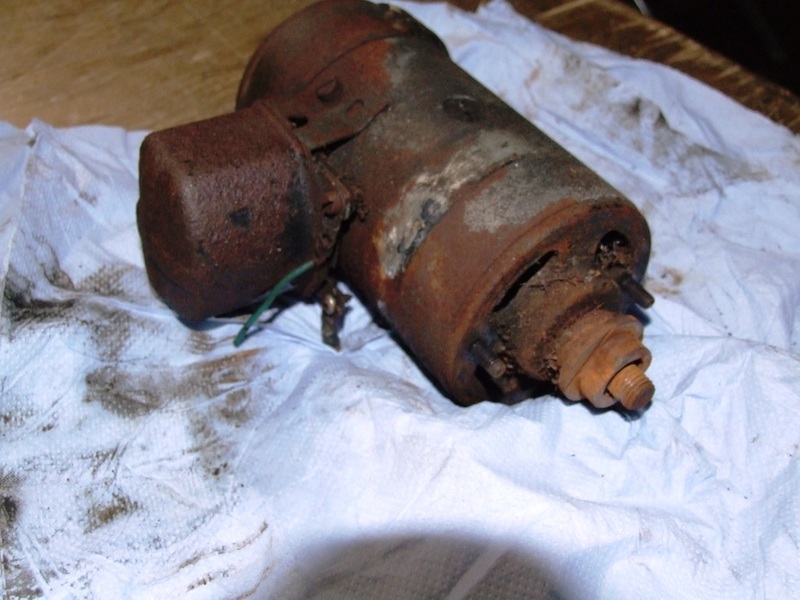 But how identifying an original generator for a 1951 Samba? 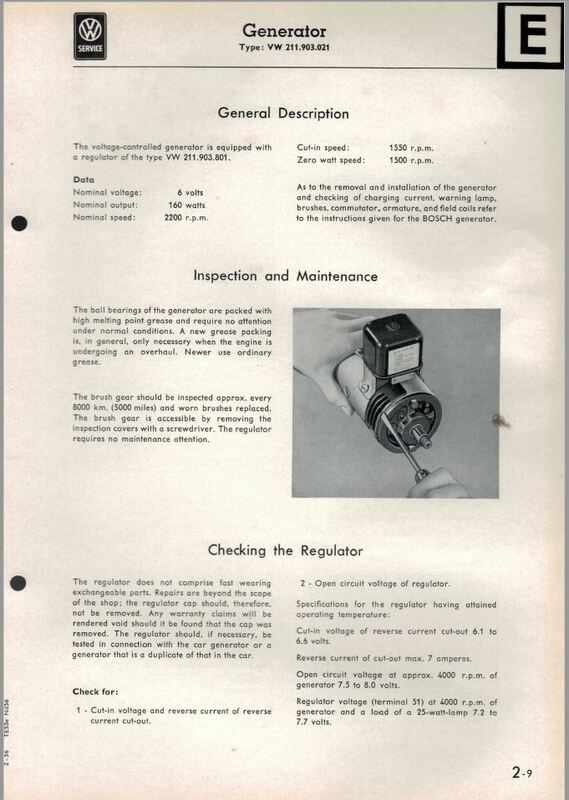 A look into the 1954 workshop manual is the right way to get some knowledge again. 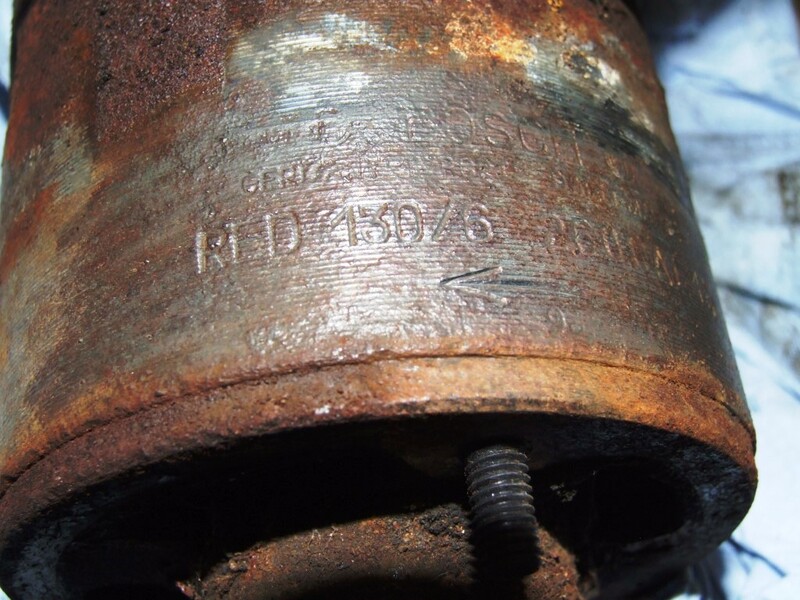 the Bosch RED 130/6 2600 AL16…. 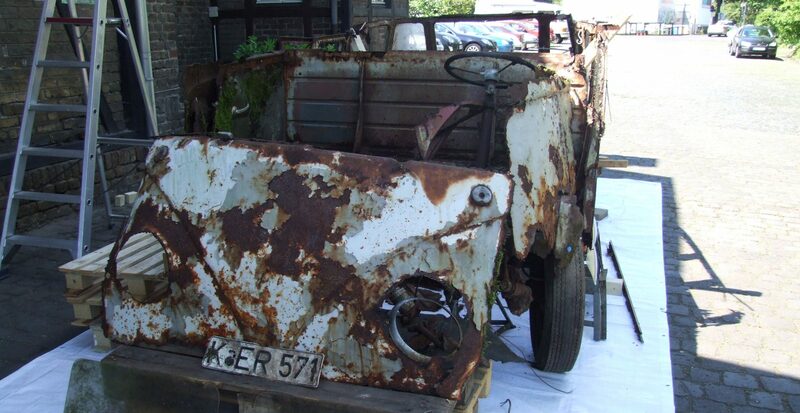 …and the VW 211 903 021! 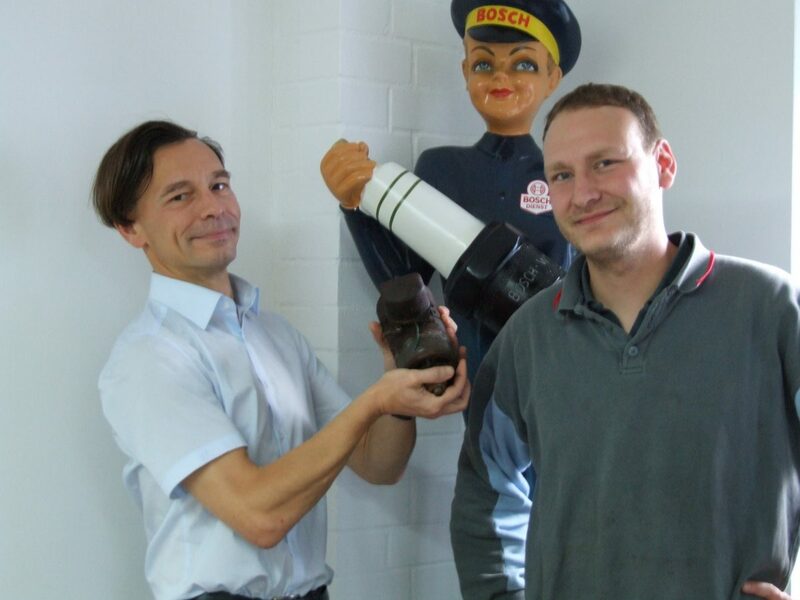 Obviously the Bosch RED 130/6 2600 AL16 would be the correct one for our Samba, because it´s the older one. 211 903 021 uses already the nine digit part number which was established around 1953, so it would be incorrect in our case, same as any other generator but the Bosch RED 130/6 2600 AL16 would be incorrect too. 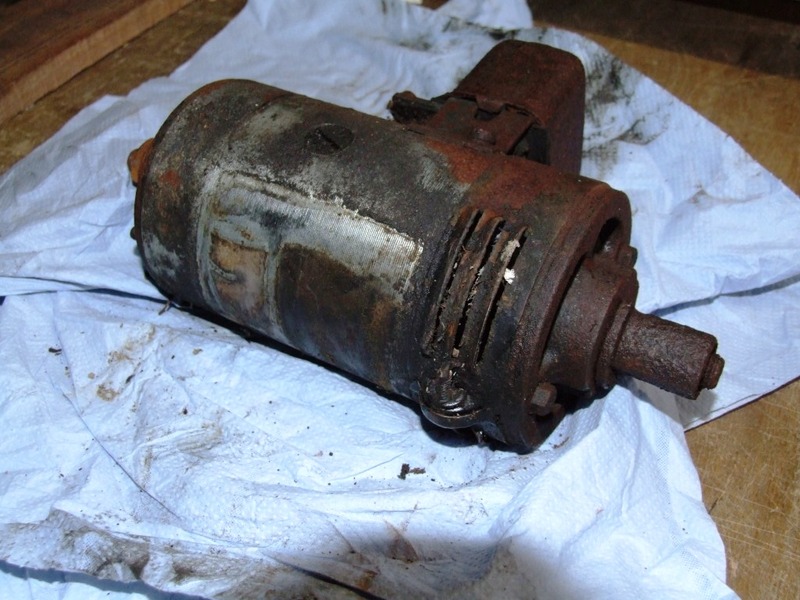 Just by judging the outer surface of our rotten generator it could be the old Bosch boy…..
Just compare it to the picture in the workshop manual! This could be the right one…. Bingo! 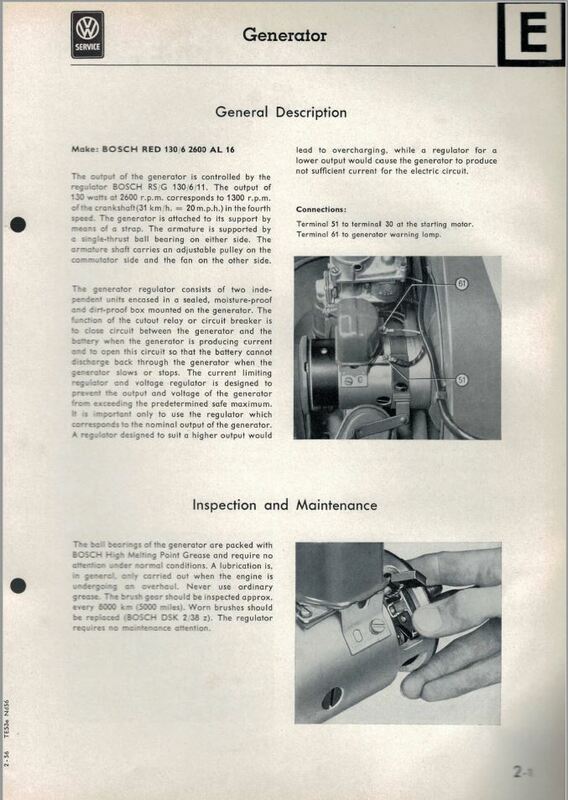 It´s still the original Bosch RED 130/6 2600 AL16 generator! This is just another hint that this Samba wasn´t on the road for long. 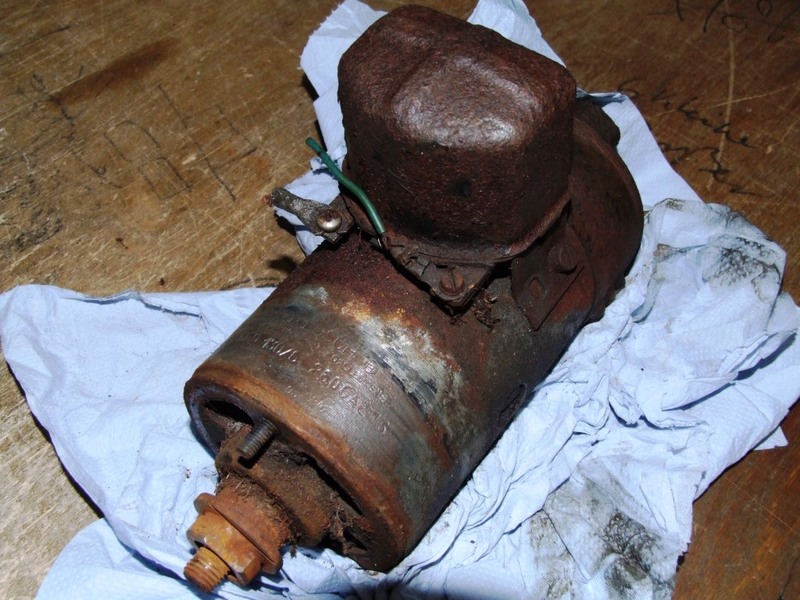 Where ever we have still existing pieces of the car, they are most likely still the originals! So now it´s time to see an expert for rebuilding generators. Who could do the job better than an old Bosch workshop? 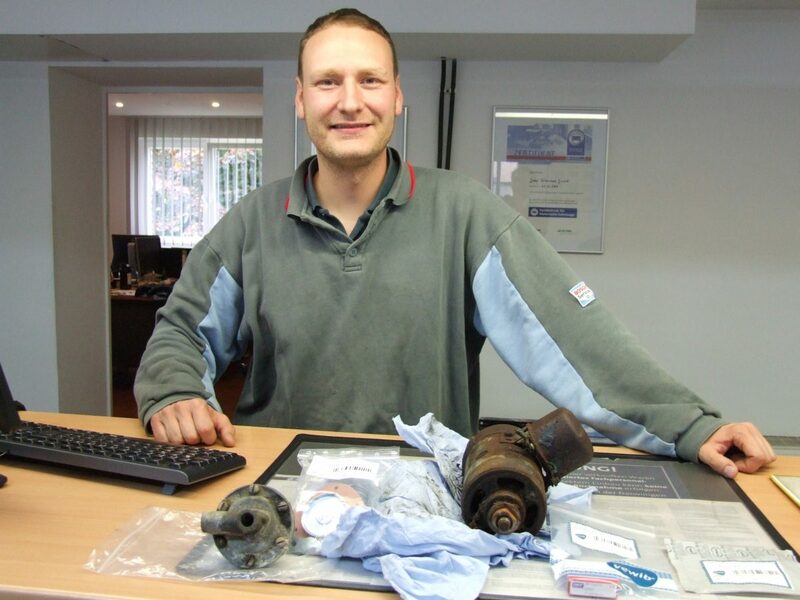 These are pretty rare by now, but one of our VEWIB-customer still has a Bosch dealership with a workshop. Mr. Bliersbach senior and Mr. Bliersbach junior run together this famous place in Cologne, so let´s bring a piece of the Samba back home, because the Samba was delivered in August 1951 from Wolfsburg to the big VW dealership Fleischhauer in Cologne. 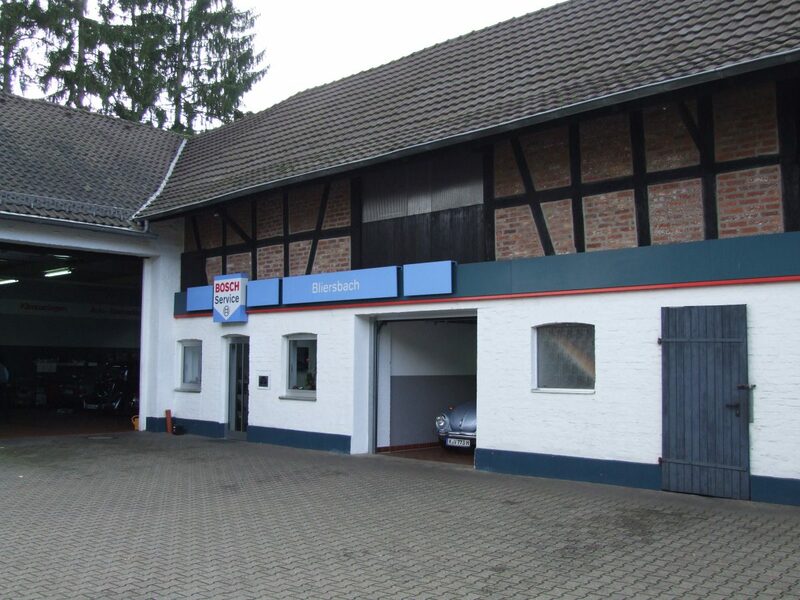 A real Bosch dealership in a vintage building, a bug in the garage…. 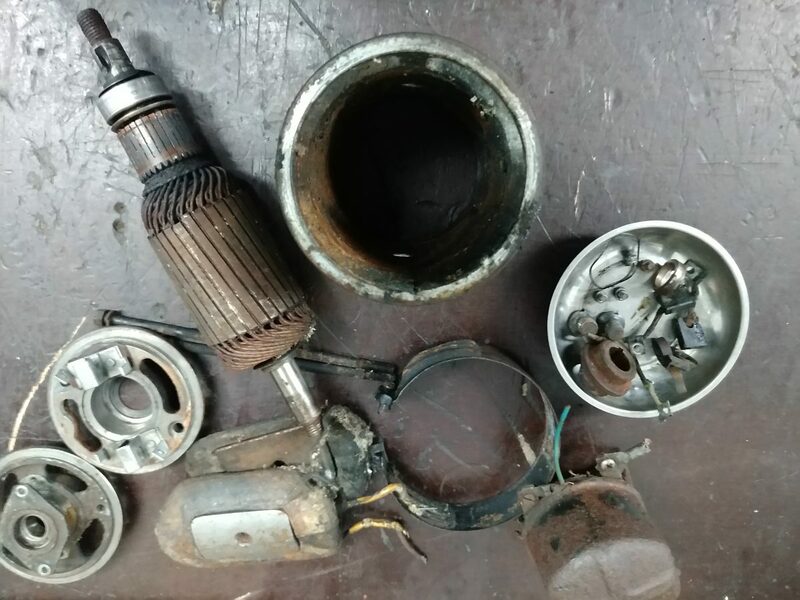 can we find a better place for rebuilding the Samba´s Bosch generator? The generator, some VEWIB spare parts and Bosch mechanic Mr. Bliersbach junior, now the job can be done! 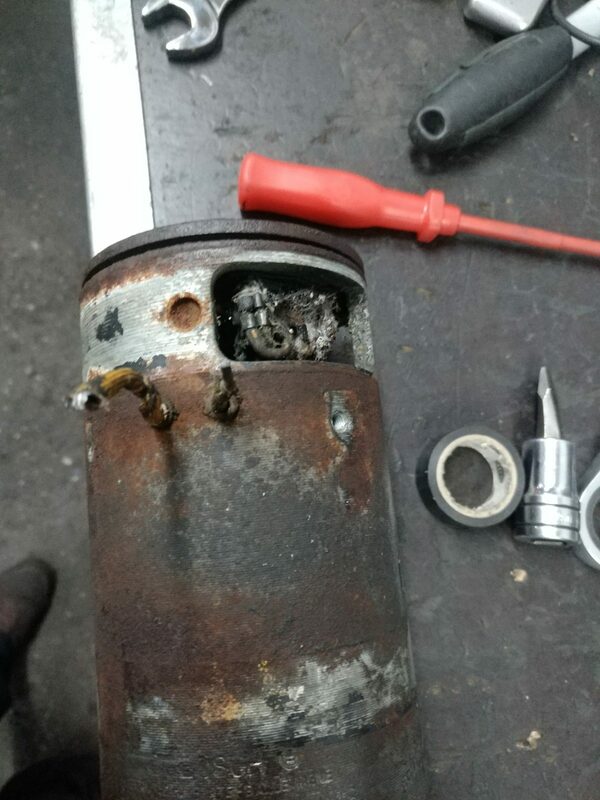 After opening the generator it doesn´t look to bad! OK, this one needs some attention. But Mr. Bliersbach can solve the problem for sure. The job is done! 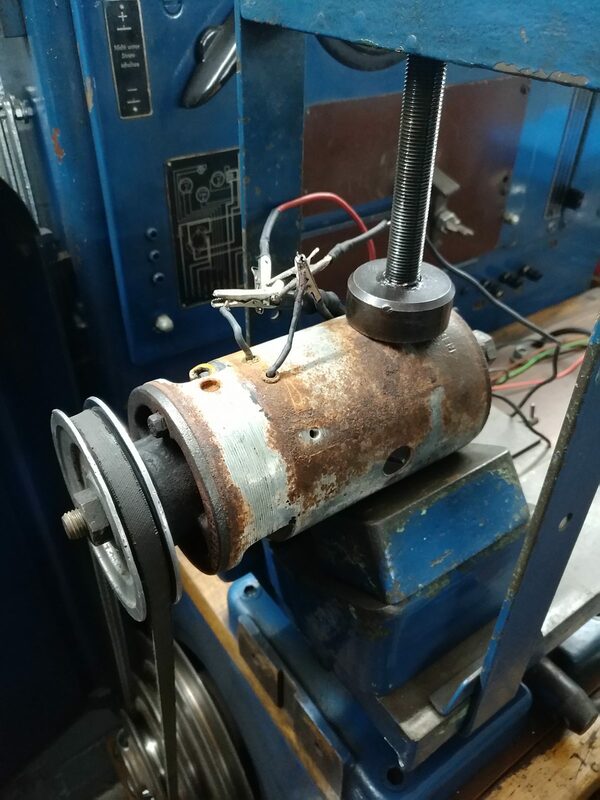 With some new VEWIB bearings and brushes the generator delivers a good performance on the test stand. Still looks rotten, but now it´s working perfect again! To follow the philosophy of the project we keep the outer surface of the generator the rusty way it was. So, in about 15 years, when the Samba´s reconstruction will be finished finished, you will be able to see exactly which item was replaced and which one is still the original. Stay tuned as the next step will be interesting too! I will visit a local expert for locks and keys in Bonn this afternoon to get some keys for the Samba. A real weird place….